Armed police officers are in a Sheffield park this morning after a man was shot in his face. 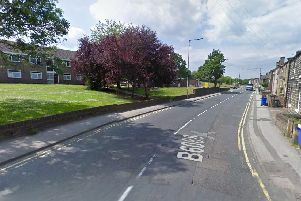 The 22-year-old man was shot in Meersbrook Park, Meersbrook, at around 6.25pm yesterday. South Yorkshire Police said he was shot in his cheek and is in a serious but stable condition in hospital. Armed officers with guns in display have been seen patrolling the park this morning. A woman posting on Facebook, who said the victim was her son, said he was walking to the Cross Scythes pub when he was approached by a man who opened fire after asking for cash and cigarettes.